Highlights of Railway Budget for 2016-17. Finance Act, 2015 has proposed to cover all services provided by Government or local authority to business entities under service tax net however effective date of this amendment was awaited since long. Now, Central Government vide Notification No. 06/2016 ST dated 18th February 2016 appointed the 1st April 2016 as the date on which the aforesaid provisions will come into effect. Simultaneously, scope of mega exemption has been extended to cover services provided by Government or a local authority to a business entity with a turnover up to rupees ten lakh in the preceding financial year (Notification No. 07/2016-ST). Further, by virtue of notification no. 30/2012 ST dated 20.06.2012 read with Rule 2(1)(d) of Service Tax Rules, 1994, in case of service provided or agreed to be provided by Government or Local Authority to a business entity, the recipient of service is liable for payment of service tax under reverse charge mechanism however date of this amendment is still awaited. Notification for reverse charge is yet to come. exemption is available if services are provided to business entity having turnover in preceding F.Y. is up to Rs. 10 lakh. Shares Buyback cannot be equated with capital reduction. [Goldman Sachs (India) Securities Pvt. Ltd vs. ITO (ITAT Mumbai)]. CBDT notifies Atal Pension Yojana u/s 80CCD. Notification No. 7/2016-Income Tax. CBEC: CBEC has notified and appoints 1st day of April, 2016 as the date on which the provisions of sub-section (1) of section 109 of Finance Act, 2015 shall come into effect. Consequentially, all the services provided by the Government or local authority to a business entity, except the services that are specifically exempted, that is, or are covered by any entry of negative list, shall be liable to service tax from the 1st day of April, 2016. Service Tax : Renting out property to hotels is not liable to service tax; further, notional interest on security deposit cannot be added to ‘agreed rent’ for demanding service tax. Service export prior to export of service rules, 2005 are eligible for export rebate. 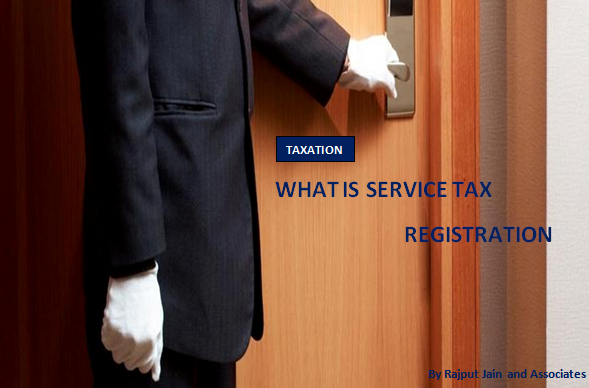 [J.P. Morgan Services India Private Ltd. vs. Commissioner of Central Excise (Service Tax) (CESTAT-Mumbai)]. DVAT E-File Form DP-1 before 29.02.16 positively to give effect to amendments/ information of dealers provided through it, pending and desired from long. MCA has recently issued a notice inviting comments on the draft Companies (Cost Records & Audit) Amendment Rules, 2016 dated 23.02.2016. CL: Sales tax dues of company-in-liquidation could not be termed as taxes in relation to property hence, Appellants who had purchased property of company-in-liquidation in court auction were not required to pay same 66com 220 (Gujarat) Readymix Concrete Ltd. v.Official Liquidator of Beclawat of India Ltd.
MCA invites comments on Draft Companies (Cost Records and Audit) Amendment Rules, 2016, to be submitted latest by 08.03.16. MCA invites comments on draft Companies (Incorporation) second Amendment Rules, 2016 & Companies (Authorized to Register) Amendment Rules, 2016 till 2 Mar 2016. Query: I have one query as – Company has appointed an auditor within 90 days of incorporation of company but after taking appointment auditor resigns within a week and then company again appointed auditor. WHETHER COMPANY IS LIABLE TO FILE INFORMATION REGARDING APPOINTMENT OF SECOND AUDITOR TO ROC? Answer: There is no statutory obligation on Company regarding the intimation of first Auditor, so appointed by the Company. In case, Company has filed Form ADT-1 regarding the appointment of first Auditor who was appointed within 90 days of incorporation. Then only, Company is required to first file Form ADT-3 regarding resignation of first Auditors, so appointed and then file Form ADT-1 for the appointment of Second Auditor. In case Company has not intimated about the appointment of first Auditor as well, then statutorily Form ADT-1 is required to be filed within 15 days of the date of AGM of Company. NSE (National Stock Exchange) has issued a Circular stating that ‘One Person Company’ can act as a Stock Broker provided the entity has at least two Directors. However, such broker would not be allowed to trade in his proprietary account. SEBI has notified the amendments which may be called as the Securities and Exchange Board of India (Substantial Acquisition of Shares and Takeovers) (Amendment) Regulations, 2016 and shall come into force on the date of their publication in the Official Gazette. Controlled by Delhi based CA firm held as resident in India 66taxmann.com 283 (Delhi) Commissioner of Income-tax, Delhi v. Mansarovar Commercial (P.) Ltd.
Union Bank invites applications from CA eligible/interested firms/companies for empanelment as Concurrent Auditors for F.Y. 2016-17. ICAI Inviting Suggestions on the drafted Background Material of Certificate Course on Derivatives. No charity in initial years cannot be sole basis for trust registration denial. [M/s Prabhat (A House of Hope for Special Children) vs CIT (Exemptions), (ITAT Chandigarh)]. Section 54EC deduction allowed if cheques presented within 6 months. [Neela S. Karyakarte vs ITO (ITAT Mumbai)]. ST: CBEC has amended the negative list e.f. 1st April, 2016 to exempt services provided by Govt. or a Local Authority to a business entity with a turnover up to rupees ten lakh in the preceding financial year from ST leviable thereon under Section 66B of the said Act. RBI:RBI has decided to upward revise the threshold for monitoring and reporting of frauds in NBFCs from Rs. 25 Lac to Rs. 1 Crore with immediate effect. Leading bourse National Stock Exchange (NSE) today said that ‘one person company’ can act as stock broker provided the entity has at least two directors. However, such broker would not be allowed to trade in his proprietary account. “One Person Company (OPC) as described under the Companies Act is eligible to be registered as a stock broker, provided it satisfies the condition of minimum two directors, as stipulated under…Securities Contract (Regulation) Rules, 1957,” NSE s .. Partial recovery of rent of leased vehicles from employees couldn’t be chargeable to ST under ‘renting services’. CENVAT of Inputs & Input services for producing electricity captively consumed allowed. [M/s JSW Steel Coated Products Ltd. vs. CCE (CESTAT Mumbai)]. Query: We have a query regarding the Board meeting of a Small company. As per Section 173(1), every company is required to hold 4 Board meetings in a year while Section 173(5) provides that OPC, Small companies & Dormant companies are required to conduct one meeting in each half of the calendar year and gap between two meetings should not be less than 90 days. Does it mean that Small Company cannot hold two Board meetings within a period of 90 days? Answer: This is an optional provision which gives an option to the Small companies to either conduct minimum four Board meetings in a year and maximum gap between two consecutive meetings cannot be more than 120 days as per Section 173(1) of Companies Act 2013 or conduct one meeting in each half of the calendar year and gap between two meetings should not be less than 90 days as per Section 173(5) of the Companies Act 2013. However, it does not mean that a company cannot hold two Board meetings within a period of 90 days. But if it holds two meetings within a period of 90 days, it has to comply with Section 173(1) of the Companies Act 2013. Deduction u/s 80-IA-Whether the Tribunal was right in holding that the deduction under Section 80-IA is not allowable at all to the assessee since there was no taxable income though the unit eligible for deduction had net profit-Held Yes – Sanra Software Ltd.vs. DCIT, Chennai (2016 (2)TMI 574 Madras High Court). Securities Premium is not accumulated profits u/s 2(22)(E): ITAT. [M/s Jeans Knit Pvt. Ltd. vs. ACIT (ITAT Bangalore ), ITA No.1105/Bang/2013 & ITA No. 1244/Bang/2013, AY 2008-09]. Daughter have equal rights in parents property prospectively: SC. [ Prakash & Ors vs. Phulavati & Ors (Supreme Court), Civil Appeal No.7217 of 2013 & others.]. Expenditure incurred on the issue of Foreign Currency Convertible Bonds (FCCB) is revenue expenditure allowable under section 37(1) of the I.T. Act –Gati Ltd. vs. ITO , W -2(2)Hyderabad (2016 (2) TMI 404 ITAT Hyderabad). Penalty u/s 271AAA is not tenable where no search was conducted. [DCIT vs. M/s Sam India Abhimanyu Housing (ITAT Delhi) ITA No.1257/Del./2015,AY2011-2012. Supreme Court on deemed registration u/s 12AA in case 6 months deadline in not adhered to( SOCIETY FOR THE PROMN. OF EDN. CASE).& another case is Delhi High Court on reopening u/s 148 on quality of reason & live link requirement (in SABHARWAL PROPERTIES case) . CENVAT credit eligible on furniture & fittings used for output service. [ICICI Lombard General Insurance Company Ltd. vs. Commissioner of service Tax [Mumbai CESTAT]. 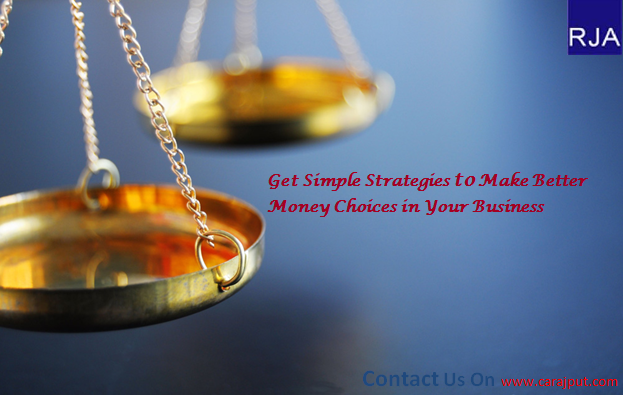 All the services provided by the Government or local authority to a business entity, except the services that are specifically exempted,or covered by any another entry in the Negative List ,shall be liable to service tax w.e.f. 1.4.2016-Notification No.06/2016-Service Tax ,dated 18th February ,2016 Department o revenue. Sebi prohibits an Auditor from issuing any certificates required under securities laws, directly or indirectly . Union Bank of India invites applications from CA firms for concurrent audit of its branches. Start date 22.02.2016 end date 05.03.2016. SEBI has reviewed the guidelines to further streamline the process of OFS with an objective to encourage greater participation of all investors. Draft Companies (Auditor’s Report) order, 2016. Draft Companies (Accounting Standards) amendment rules 2016. Draft Companies (Indian Accounting Standards) amendment rules 2016. 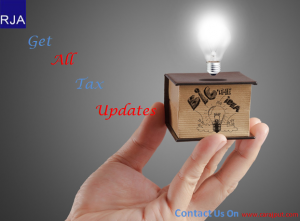 Revised Schedule III to the Companies Act, 2013 for a company whose financial statements are drawn up in compliance of companies (Indian Accounting Standards) rules 2015 and as amended from time to time. Updated guidance note issued for bank audits : ICAI has issued a guidance note on bank audits. The guidance note aims to assist auditors in performing bank audits for FY 2015-16. The CBDT has issued Circular No. 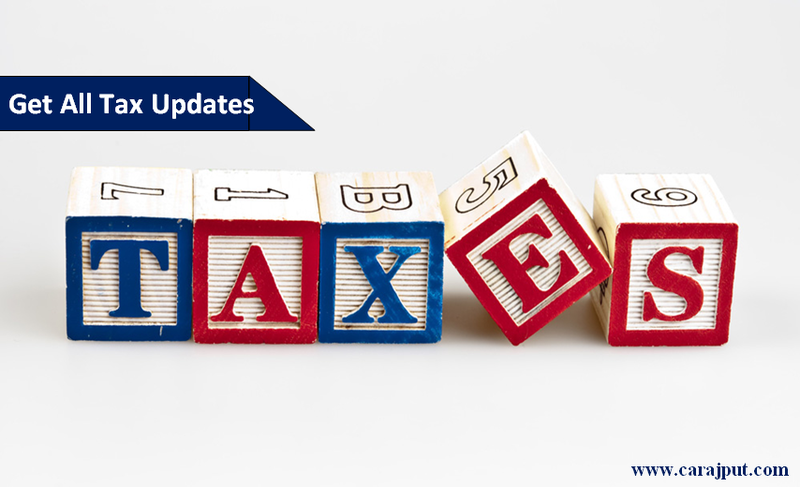 1/ 2016 dated 15.02.2016 in which it has clarified the meaning of the term “initial assessment year” in section 80-IA(5) of the Income-tax Act, 1961. The CBDT has issued Instruction No. 01/2016 dated 15.02.2016 in which it has directed Assessing Officers to strictly follow the time limit of six months prescribed under section 154(8) of the Income-tax Act, 1961 to pass rectification orders. The CBDT has also directed the supervisory officers to monitor the adherence to the prescribed time limit and initiate suitable administrative action where failure to adhere to the prescribed time limit is noticed. The CBDT has issued Instruction No. 02/2016 dated 15.02.2016 in which it has directed Assessing Officers to pass rectification orders in writing and serve a copy on the assessee and not just make an entry on the AST system. Refund cannot be denied merely for procedural lapse i.e. if assessee is eligible to get refund, it should be allowed even if there is a delay of 2 days because of the intervening Saturday and Sunday & the claim was filed on Monday. [Markers Mart And Prince Exports vs C.C.E & S. Tax, Jaipur II-2016 (2)TMI 258-CESTAT NEW DELHI]. Procedure, Formats and Standards for ensuring secured transmission of electronic communication including scrutiny assessment u/s 143(3)-Circular-Dated 3-2-2016. Delhi high court landmark decision in new Skies Satellite case on issue of retrospective operation of Finance act 2012, amendments in section 9 held Retrospective operation a highly contentious issue; held “the parliaments is simply not equipped with the power to, through domestic law, change the terms of a treaty, it is fallacious to assume that any change made to domestic law to rectify a situation of mistaken interpretation can spontaneously further their case in an international treaty . Therefore,mere amendment to section 9(i)(vi) cannot result in a change. RBI extends the Date for Withdrawal of pre-2005 Series Bank Notes to June 30,,2016. ICAI issues Guidance Note on Audit of Banks released by Auditing and Assurance Standards Board. ICAI issues Revised 2016 Guidance Note on Reporting of Fraud under Section 143(12) of the Companies Act, 2013. Empanelment for audit of PSUs for the year 2016-2017;Online application with C&AG –Last Date extended to 22.2.2016. Last date for receipt of documents 15.3.16. Any change in data occurring after the cut-off date that lead reduction in the rank of applicant firm shall be taken in to account. Supply Of Goods to Indian Navy not must to claim excise exemption. Manufacture of rosin and turpentine without aid of power , seeking retrospective exemption is not a constitutional right – HC. [Mangalam Organics Limited vs Union of India – 2016 (2) TMI 529 – Delhi High Court]. Cenvat of Goods/ Service used in construction of rented property allowed. [Nirlon Ltd. vs. Commissioner of Central Excise,Mumbai]. Proceedings under rule declared unconstitutional by HC in invalid. [Vipul-S Plasticrafts P. Ltd. vs. Commissioner of Central Excise]. The petitioner is admittedly not a foreign company : Since the petitioner is not an eligible assessee in terms of section 144C(15)(b), no draft order can be passed in the case of the petitioner u/s 144C(1) – HC. [Honda Cars India Limited (Formerly – M/s. Honda Siel Cars India Limited vs Deputy Commissioner of Income Tax & Another – 2016 (2) TMI 527 – Delhi High Court]. Kindly attend the Annual Award Function of NIRC of ICAI on February 20th at 3 PM in NDMC Convention Centre, Connaught Place, New Delhi. IRDAI has issued Clarification on IRDAI (Registration of corporate Agents) Regulations, 2015 Vide Ref: IRDA/CAGTS/CIR/LCE/029/ 02/2016 dated 16.02.2016. Query: Does income tax representation services can be rendered by an auditor under section 144? Are they covered in management services? Answer: No, they are not considered as management services. So, an auditor can render tax representation services provided it shall be approved by the Board or Audit committee of the company, as the case may be, in pursuant to Section 144 of the Act. New appeal filing monetary limit shall apply to pending appeals also. [ITO vs. Smt. Sudha Brijratan Damani (ITAT Mumbai), I.T.A. No. 6952/Mum/2013]. CBEC makes it mandatory for RBI and Electricity Board to file Annual Information Return. Notification no. 04/2016 dated 15.02.2016. Interest from surplus fund is taxable as income from other sources. [M/s Himlayan Expressway Limited vs. ITO (ITAT Chandigarh), ITA No. 690/ Chd /2014, AY 2009-2010]. 172 : No TDS on payment to Non–Resident shipping companies. [CIT vs. V.S. Dempo & Co. Pvt. Ltd. (Bombay High Court), Income Tax Appeal Nos. 989, 991, 948, 957,978 of 2015]. WIP Valuation on receipt basis is forbidden in Mercantile Accounting. [The ACIT vs. M/s. Ambarwadikar & Co., Engineers & Contractors (ITAT Pune), ITA Nos.169 to 171/PN/2006 & C.O.No.27/PN/2010]. MCA invites comments on The Draft Companies (Accounting Standards) & (Indian Accounting Standards) Amendment Rules 2016 to be submitted latest by03.2016. Last date for submission of online application form for emplacement with O/o C&AG for the year 2016-2017 for audit of PSUs is extended to 2.2016. Query:Sub-section 6 of the Section 149 of Companies Act 2013 provides for meaning of independent Director and clause (c) & (d) of sub-section 6 of section 149 of Co. Act, 2013 provides that Independent Director or his relatives has or had no pecuniary relationship or transaction with Company, its holding, subsidiary or associate company etc. Please explain the meaning of “Pecuniary Relationship” and “materiality” in this regard. Answer:Ministry of Corporate Affairs has in its Report of Expert Committee on Management and Board Governance has explained that the term material pecuniary relationship should also be clearly defined for the purpose of determining whether the director is independent or not. The concept of “Materiality’ is relevant from the recipient’s point of view and not from that of the company. The term ‘material’ needs to be defined in terms of percentage. In view of the Committee, 10% or more of recipient’s consolidated gross revenue / receipts for the preceding year should form a material condition affecting independence. For determining materiality of pecuniary relationship, transactions with an entity in which the director or his relatives hold more than 2% shareholding, should also be considered.